Looking for a Superior Painting Company? You Found Us! 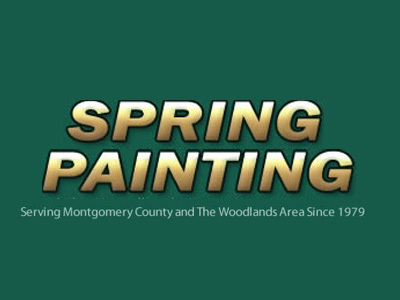 Spring painting is a locally owned family based business. This means trust and confidence to the homeowner as well as peace of mind. In our 25+ years of business we are proud to say that we have never been involved in a legal issue with our clients. Nor have we had a problem arise that we couldn't resolve to our clients satisfaction. Our guarantee to our homeowner is to complete the work in a timely manner. We strive to minimize inconvenience and construction debris on the job. When and if problems arise we are quick to address and resolve them. Our goal is to complete each and every job with a satisfied client for life! We understand our responsibility and are proud of our reputation. We will be happy to provide references upon request of satisfied homeowners and business owners who continue to call us year after year! We will repair small cracks caused by settling, holes in ceilings, or walls. When completed our repairs blend into the wall. No noticeable outline of the repair. Our wallpaper hanger has reasonable rates per roll. He is attentive to prep work and paperhanging. Painting over wallpaper? Not a problem. We do it with excellent results. Recommendations For Spring Painting, Inc.